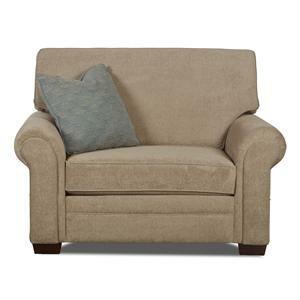 This traditional sofa sleeper is a great way to update your home with easy style and a comfortable place to relax. Pull out the queen size air coil mattress when you need to comfortably sleep guests in your home. Return your living room to normal by putting the mattress away in the morning. 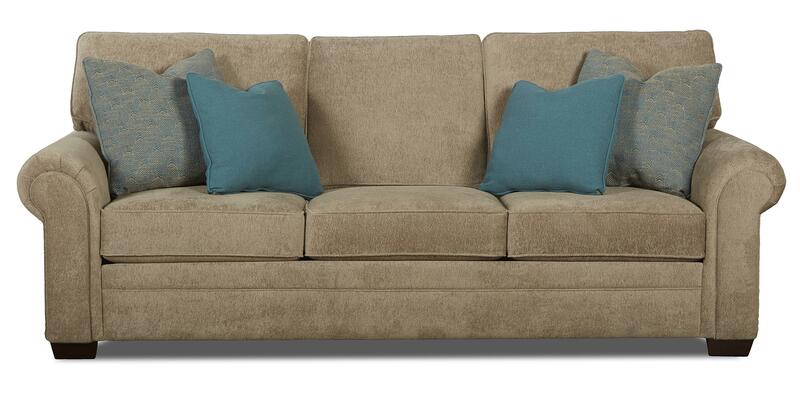 This sleeper sofa allows you to make the most of your living space. 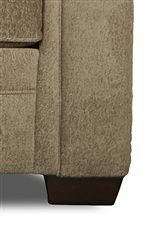 The three over three sofa cushions are wrapped in welt cord for a clean look while the sofa sits on tapered block feet for a sturdy foundation. 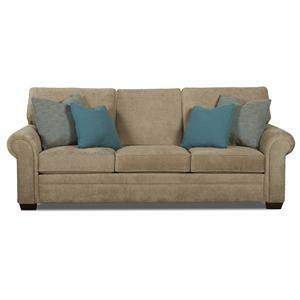 This sofa is simple while still adding style and comfort to your home. The Ronaldo Traditional Air Coil Mattress Sleeper Sofa with Rolled Arms by Klaussner at Value City Furniture in the New Jersey, NJ, Staten Island, Hoboken area. Product availability may vary. Contact us for the most current availability on this product. The Ronaldo collection brings you pieces for your home that are simply designed, comfortable and a great addition to your collection. 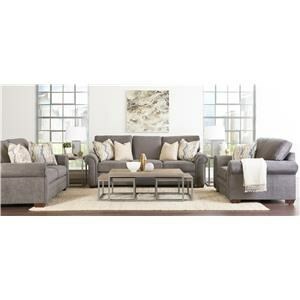 With a variety of sleeper sofas you are able to sleep guests in your home and make the most of your living space. Create a room that is functional without sacrificing style. 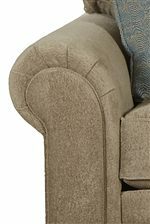 Use a big chair with a wide seat to update a corner of your living room with a great place to snuggle up. This collection has traditional style while still being comfortable and cozy making it a great fit for your home. The Ronaldo collection is a great option if you are looking for Traditional furniture in the New Jersey, NJ, Staten Island, Hoboken area. Browse other items in the Ronaldo collection from Value City Furniture in the New Jersey, NJ, Staten Island, Hoboken area.